Picture this: it’s a random Thursday, you’re at your desk, and out of the blue six people in the office receive flower deliveries. In case you missed the memo, it’s February 14th. If you’re short on ideas and your boo expects a romantic surprise, consider our phyllo recipes your secret weapon. 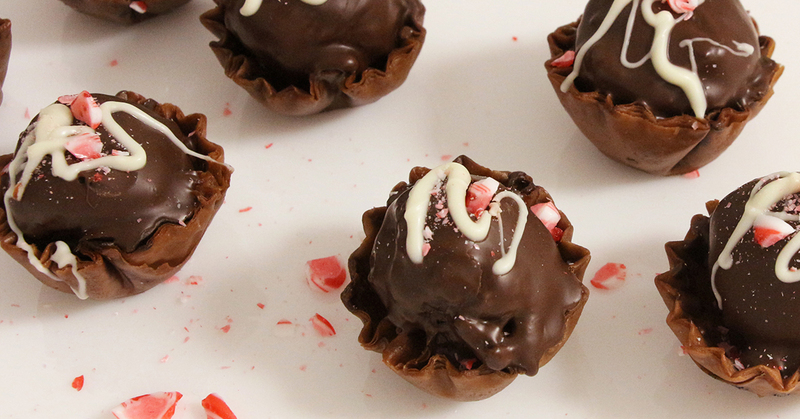 These will thrill your honey’s heart and taste buds … without a whole lot of planning. For a savory snack that makes it look like you’ve got skills, reach for a box of Athens spanakopita. Just take and bake! These delicious, flaky, handmade triangles only need a few minutes in the oven to reach their full potential — and your S.O.’s heart. 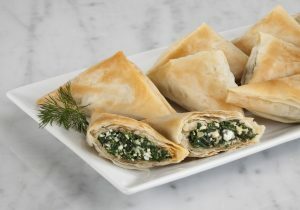 Two words: phyllo shells. They’ll be your best friend whether you need a savory app or a sweet dessert. We like whipped goat cheese topped with Bosc pears to start the night right, or peppermint mocha truffles for a breath-mint but better chocolatey dessert. 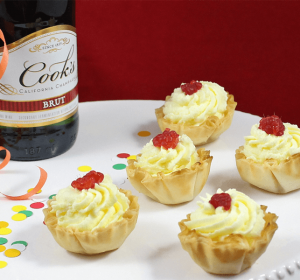 And, be sure to toast cupid and your love with a champagne phyllo toast. Phyllo takes a few hours to thaw. If you wake up and realize it’s V-day, move a pack from the freezer to your kitchen counter so it’s ready to go as soon as you get home from work. 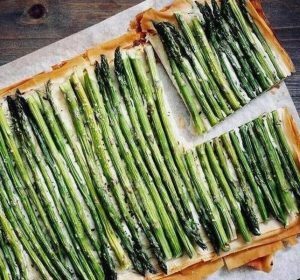 For minimal prep with major wow, we’re all about this herbed ricotta and asparagus tart. P.S. there are no rules that state Valentine’s Day cooking has to be fancy. Win over the meat-lover in your life with phyllo wrapped mini hot dogs. You’ve got this. With a few simple hacks, you can win Valentine’s … and look like the kind of person who totally plans ahead. For more recipes that deliver the romance, check out our Pinterest page.